The ceramic steak knife is equipped with a very hard and sharp blade. 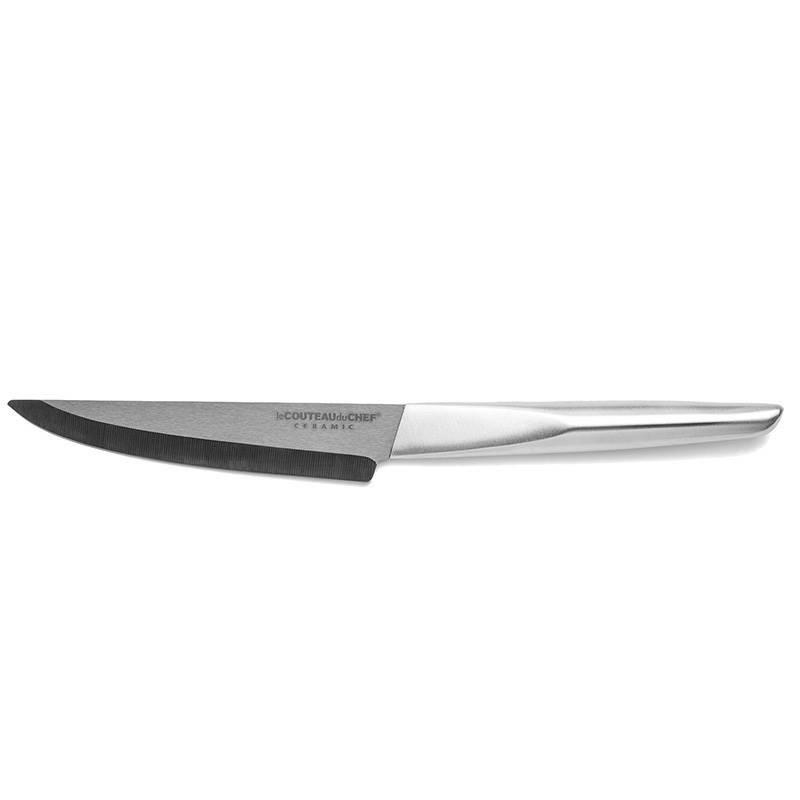 The ceramic used for the manufacturing of this steak knife has a very high zirconium oxide content, proof of a high quality blade. It guarantees an amazingly easy cutting; the blade can be used both in the kitchen and on the table to prepare different kind of dishes. It will help you cut all types of meat. 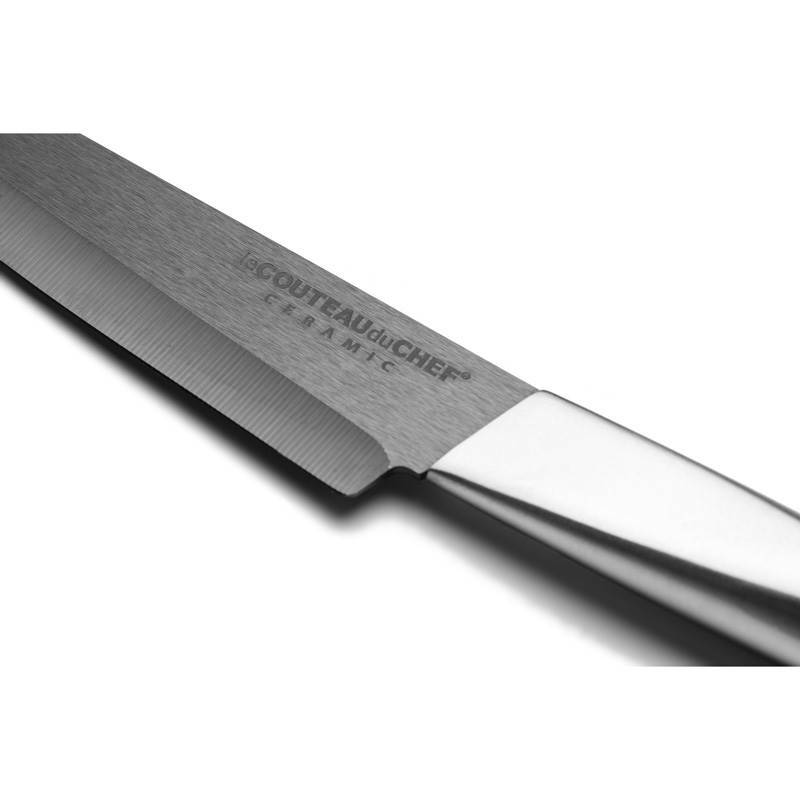 This high-end steak knife has a smooth blade that enable to slice meat with great precision. The slender and dynamic handle of this 10cm ceramic blade makes of this steak knife a modern and pleasant to look at kitchen utensil. The ergonomics of its stainless steel handle has been specially studied to facilitate the grip and use. The main assets of this superior blade are its sobriety and its amazing cutting power.